This news item was posted in Breaking News, World News category and has 0 Comments so far . Prime Minister Nawaz Sharif on Tuesday telephoned his Indian Indian counterpart Narendra Modi and expressed sorrow over the loss of lives in Pathankot terror attack. The prime minister who is in Sri Lanka on an official visit, assured Modi that Pakistan would investigate in detail on the leads and information provided by the Government of India. 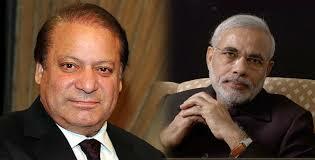 Sharif said terrorists always try to derail the peace process between the two countries. Both the leaders also expressed their resolve to fight terrorism through mutual cooperation of their governments. According to Indian External Affairs Ministry, Prime Minister Modi received a call this afternoon from Prime Minister Nawaz Sharif regarding the terrorist attack on the Pathankot airbase. “Prime Minister Nawaz Sharif assured Prime Minister Modi that his government would take prompt and decisive action against the terrorists,” it said. You can follow any responses to this entry through the RSS 2.0 feed . You can leave a response , or trackback from your own site .